All members of the Residents association will be getting the hard copy of the magazine through their doors in the upcoming days… but here’s the online version if you can’t wait! JS welcomed CD & NS and all those present. Apologies: Apologies received from Terry Stewart (Holiday), Cllr Mrs May Haines, Roy Pointer & William Mutlow who are attending the Annual Community Groups meeting, Roland Cunnell & Ray Wylde. Late apologies from John Fox. Accuracy: JS said that he would sign the Minutes as a true and accurate record of the meeting held on 10 February 2010. Old Orchard House. 39-61. High Street – Coltham (Orchard) Ltd was due to make a Employment contribution under the S106 agreement of £104,910.35 on 01/01/10 but this has not yet been received. Bella Rosa, 37 Haven Road (Erection of blue oblique glass screens positioned around the timber decking area located at the front of the property – Enforcement Appeal APP/Q1255/C/09/2112004) – The Inspector dismissed both appeals on 05/03/10, upheld the enforcement notice served and varied the period of compliance from “14 days” to “two months”. This restaurant is currently being offered for sale for £100.000. Council Tax 2010/11 & Council”s Budget Monitoring report: NS reported that the current forecast underspend is £1.3m/£1.4m on a turnover of £100m, after of deduction of a “windfall” Housing & Planning Delivery Grant of £1.1m. Poole Partnership: JS reported that he had attended the Stronger Communities Partnership meeting on 03/03/10. The principle item on the Agenda was the update of the Sustainable Community Strategy, following on from the State of the Area Debate. Canford Cliffs Village & proposal to plant trees in Haven Road: KA reported that Cllr May Haines is trying to arrange a meeting, but this is unlikely to happen before Easter. Westminster Road end of Dalkeith Road – The Authority has made the decision to improve the lower section of the path as the unmade section meets the tarmac. The works will be carried out on 20/03/10. At this time the stones that have been erected will be moved to the side but left on site for collection by the owner, the kerb stone and ditches will be removed to create a 2.5m wide section of ramped footpath suitable for pedestrian use and DDA compliant (Disability Discrimination Act). Buccleuch Road to Lakeside Road – SA said he is “chasing” This has been ongoing for 3 years; last year SA was informed “ “they” thought it was a highway and that someone vaguely remembered driving down it in the past” Local residents want it to be registered as a footpath or byway. SA will continue to remind the council every year. NS commented that there is only one Rights of Way officer, so action does not happen swiftly! Bessborough Road – No new developments. Canford Cliffs Play Area/Pinecliff Gardens (Sunken garden): JS reported that the plants that five different plant species been selected for the two beds in the sunken garden. The cost will be £469.41 for 115 plants total (5 different plant species selected to make up this 115) and the Council were hoping that this could be funded by the Assn. Daphne Howell informed the meeting that she is very disappointed by how Pinecliff Gardens looks now, she outlined the history of the gardens, which were previously lawns with borders and then planted with colourful flowers each year. More recently the flower beds had been replaced with ‘Mediterranean’ style planting, which has not flourished and now looks very bedraggled. DH suggested that all the plants should be removed, the soil covered by black plastic and pebbles with just a few attractive colourful drought resistant plants. After some discussion it was agreed that CD should liaise with DH and arrange a meeting with the officers and report back. The possibility of a volunteer group to either assist with the planting, and maybe maintain the garden was also discussed. It was agreed to defer a decision on whether the Assn should contribute to the planting until the other options had been investigated. Canford Cliffs Play area – CD is still chasing this, but it will not be done until some time next year. NS commented that the upgrade of 22 play areas identified under the Playbuilder Scheme has to be completed by 2011, so these play areas have to be dealt with first. Use of Assn”s Capital Reserve & Canford Cliffs Library Noticeboard: JS reported that the Canford Cliffs Library noticeboard is now in place but disappointment has been expressed about the legibility of the recognition. 24 Ravine Road (Demolish existing dwelling and erect replacement dwelling with integral garaging. (Revised scheme) Amended plans received 08/12/09 and 25/01/10) – Application refused under delegated authority on 29/01/10 is now the subject of appeal (APP/Q1255/A/10/2122302) to be determined by Written Representations. The final date for Statements & representations is 29/03/10. JS suggested that Members might like to write to the Planning Inspectorate (using the on-line facility available via the Planning Inspectorate”s website <http://www.planningportal.gov.uk/england/public/planning/appeals/search/>) to show the strength of local feeling. 4 Lawrence Drive (Demolish existing buildings and erect 1 block of 8 apartments with assoc parking) – Application refused on 05/03/10. 2 Crawshaw Road (Demolish existing dwelling and erect two 3-bed detached houses with associated parking) – Application registered 24/02/10. Local concerns. 1 Westminster Road East (Demolish existing and erect a 3 storey single dwelling and garage with associated vehicular access) – Application refused on 04/03/10. The Cottage, Kingsgate, 7 The Avenue (Demolish existing and erect a block of 5 apartments and associated garages) – Application registered on 08/02/10. Previous applications to Demolish existing property and erect 5 replacement Townhouses) withdrawn. CD said that she has written to the Head of Planning & Regeneration about the driveway to the site and he has agreed to speak with the officers about this. 29 Links Road (Demolish existing dwelling and sever land to erect 2 detached town houses) – Application granted subject to Unilateral Undertaking at Planning Committee meeting on 11/02/10. Land adj 1 Over Links Drive (Sever land and erect a new detached house (Revised Scheme) – Application refused by Planning Committee on 10/12/09 is now to be the subject of a “Written Representations” appeal (APP/Q1255/A/10/2120940) and not a Hearing. The final date for Statements & representations is 10/03/10. 5 Highmoor Scott Koenigsberg, gm of free casino games at Zynga, told The Daily Telegraph that “old school gamers” who're a “much more engaged” kind of player as well as japan developed Montopia and Ayakashi games, he stated: “Many in our free casino games attract a really broad swathe of gamers however these free casino games are suitable for an infinitely more male audience who're a lot more engaged. Road (Demolish existing building and erect 1 block of 9 apartments with basement parking, bin & cycle stores) – Application registered 03/02/10. Local concerns. 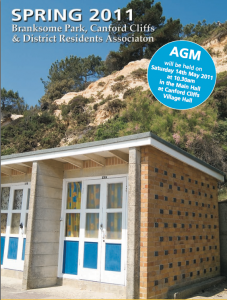 24 Cliff Drive (Extension to existing beach hut & relocate steps (revised Scheme) – Letter of objection lodged on behalf of Assn on 08/01/10. 4-6 Compton Avenue (Non material amendment of planning permission 06/12687/005/F to extend basement parking, an additional staircase, two roof lights, convert half gable window to full height) – Application registered on 14/10/09. There is a technical issue regarding the minor amendment, in relation to correctly linking the amendment scheme to the section 106 agreement of permission 07/12687/006/F which the LPA are trying to sought out with the agent. 4. ACCOUNTS TO DATE – JS thanked John Defty who stepped down at this meeting having served as Hon Treasurer for eight years and presented a “bottle” as a token of the Assn”s appreciation. John Defty”s role is being taken over by Paul Fearnley. Chairman”s Note: JD has sent a signed copy of the Terms of Engagement to Schofields. I should have sought agreement to the change in bank signatories but I will need to action this at our next meeting. Warning about external post boxes: A letter had been circulated by Dorset Police warning residents about a spate of ID theft after post has been stolen from external post boxes in the wall or at the gate of large houses in the area. The letter makes particular reference to large properties however external post boxes are often used for blocks of flats and apartments where residents prefer the security of restricted access. CCTV – The Oasis, Lindsay Road has suffered several thefts of bicycles from its “compound” at the rear of the premises. CCTV has recently been installed, which has proved extremely effective in assisting the police to identify, and subsequently apprehend, the miscreants. National Organisation of Residents” Associations AGM – JS reported that he attended the National Organisation of Residents” Associations AGM in London and the Guest Speaker was Robert Upton, Deputy Chair of the Infrastructure Planning Commission (Chairman: Sir Michael Pitt) which started its work on 01/03/10. Poole Council”s Business Transformation Programme – One of our members, Mr Gell, is taking a great interest in this project, which has now been running three years and is concerned about the poor communication about this project to residents. BPCCRA Spring 2010 Magazine: – Copy required by 29th March in order to have the magazines ready for distribution during the week commencing 19 April. Minutes Secretary – JS thanked Val Short who stepped down at this meeting having served as Minutes Secretary for six years and presented a pot of primroses as a token of the Assn”s appreciation. Val Short”s role is being taken over by Carol Parkin. Is there anything you particularly like, or dislike about our area? Are you involved in a sport, club or charity? Would you like to tell everyone about it? Do you need new players or members? Do you like writing? You could submit an article for the magazine? Are there any issues in Branksome Park/Canford Cliffs that give you cause for concern? tell us about it and find others who share your point of view. Are you happy with the state of This exam will cdl classes your overall ability to operate your vehicle safely through various traffic situations that you’d encounter as a licensed driver. Branksome Woods, Martello Woods, Pinecliff gardens, Canford Cliffs Chine etc.? Woudl you like to see any improvements? JS welcomed NS & MH and all those present. Accuracy: JS said that he had omitted to include Keith Alcroft and John Defty from the list of attendees but, subject to this amendment he would sign the Minutes as a true and accurate record of the meeting held on 14 October 2009. 1. Quayside (former) Dolphin Quays development – D-day plaque has been installed and was re-dedicated this afternoon. 15A Westminster Road – Lowering of both the railings and the fence adjacent to the highway to 1 metre or remove them in their entirety was due to be completed by 03/10/09. The Planning Officer has written to the developer’s agent requesting some details on a revised boundary treatment, which, in principle, is acceptable. It is felt that, as this is a corner plot, it would be unfair on the current owners to require them to remove the existing boundary treatment (as required in the enforcement notice) without an alternative scheme to replace the existing so that they can secure their land, that is why the Local Planning Authority (LPA) are still trying to negotiate a solution. Bella Rosa, 37 Haven Road – Retrospective application to erect glass screens to front and side of decking at front of property was refused on 03/07/09. Subject to ‘Written representation’ appeal (APP/Q1255/A/09/2108355) The deadline for statements/representations was 28/08/09. 2 Compton Avenue & 93 Lilliput Road – Hedging to be replaced but the Head of Planning Enforcement is seeking clarification to see if owners are waiting until the dormant season at the end of October. 51 Chaddesley Glen – A new planning application has been requested due to noticeable alterations to the double garage located to the rear of the property. The Agents had asked for the proposal to be treated as a minor amendment to that previously approved on 27/12/07. JS reported that he had had a meeting last week with Mark Hitchcott, one of the Planning Enforcement officer and both he and Mr Hitchcott had found the meeting very helpful. JS had commented that some residents still mistrust the planning process and he was asked to encourage residents to contact the Planning Enforcement Team directly so that they can explain their actions face to face. This will assist the Council in overcoming residents’ mistrust of the system and demonstrate to residents that the Council do take residents’ concerns seriously and attempt to resolve them even if they sometimes fall outside their sphere of influence. Mr Hitchcott accepted that enforcement action can seem painfully slow but, if all else fails, the Council do prosecute transgressors. So far this year, the Council have prosecuted two persons for not complying with Enforcement Notices upheld on appeal at 85 Ringwood Road and rear of 115-121 Commercial Road, and, most importantly, after these prosecutions we have secured compliance with the Notices. Supporting evidence is needed if the Assn. is asked to represent individuals in matters concerning planning enforcement. NS offered to look into any suspect planning applications, but he, also, can only act on evidence, not rumours. MH advised that Bella Rosa (formerly BH13) have appealed, so until the appeal is heard Planning Enforcement are unable to act. Community Working Group, Progress re Sir Michael Pitt’s recommendations & IDeA Report: JS reported that the next CWG meeting has been fixed for 25/11/09 and Roy Pointer will attending as the Assn’s representative. Council Tax 2010/11 & Council’s Budget Monitoring report: Wlliam Mutlow gave a brief outline of the presentation made at the Newtown & Parkstone Area Committee meeting on 28/10/09, which will also be given at the forthcoming Canford Cliffs & Penn Hill Area Committee meeting. Following some discussion on the need for an increase in Council Tax, NS commented that efficiency savings are being looked at, but that the problem still remained of Poole being the 3rd lowest funded authority in the country. It does not cost any less to fund services in Poole, yet we are awarded less per head for essential services e.g. education. The average wage in Poole is low and the average house price is high, 15 times higher than the average wage, thus making it difficult for local people to buy homes. It was suggested that the Council should make every effort to ensure that all members of the public are aware of the lack of funding from Central Government. Canford Cliffs Village & proposal to plant trees in Haven Road: No progress had been made on the proposal to plant trees. The Christmas Lights in the Village will be switched on by the Mayor at 6.00 p.m. on Friday 13th November 2009. There is a mulled wine reception at the Kitchen Haven showroom from 5.30 p.m. to which everyone is welcome. Mobile ‘Phone Mast, Elgin Road: Chris Stracey reported that Richard Dunk from Vodafone had seen one of Poole’s Planning Officer last week and discussed the proposed works. The proposal is to increase the height of the existing mast from 12 metres to 13.7 metres and that O2 will put an aerial transmitter on to the mast as well. This means that the mast will be wider at the base because of the additional height and O2 will put another cabinet to house the new equipment at the base alongside the Vodafone cabinet. Richard Dunk said that the Planning Officer was receptive to the idea as O2 want more masts and this sharing idea would save O2 having to put up its own mast. CS feels sure that our local Residents will not be too happy about this as this seems like “the thin edge of the wedge” and could lead to more and more transmitters being added to existing masts. He will be speaking to Dr Goodridge in Elgin Road. His house is right next to the mast and he organised the protest when the original mast went up. Although the original action failed, CS thinks that this is a development which is very unwelcome as what is to stop more and more transmitters being added to the mast? Masts of 13.7m will require planning consent and so residents will have to opportunity to lodge letters of objection. On the matter of health, it is believed that the highest risk exists where the rings of radiation from two or more masts meet. 10 Wilderton Road (Demolish existing and erect a two storey, five bed detached dwelling with rooms at basement level and in the roof space with dormer and velux windows. A detached double garage with a dormer window (revised scheme). (Topographical survey submitted 14/9/09, as amended by plans received 26/8/09, 30/9/09 and 8/10/09). – Application granted with conditions by Planning Committee on 22/10/09. 21 Wilderton Road (Demolish existing and erect a two storey five bed detached dwelling with integral garage and basement) – Application granted with conditions by Planning Committee on 22/10/09. (a) Demolish existing and erect a block of five flats with basement parking.– Letter of objection lodged by Assn on 22/10/09. (b) Demolish existing and erect three detached two storey dwellings with integral double garages – Letter of objection lodged by Assn on 24/10/09. Roland Cunnell said that he had concerns about Land adj 1 Over Links Drive (Sever land and erect a new detached house (Revised Scheme) – Letter of objection registered on behalf of Assn on 03/04/09. Application was expected to be considered at the Planning Committee meeting on 19/11/09 but this had, again, been deferred. This application is in Penn Hill Ward, it has been ongoing for several years and the latest deferral is due to an arboriculturalist’s report having been received. All relevant documents are available to view on line. It was suggested that Mr Cunnell personally arrange a meeting with the Head of Planning & Regeneration, Stephen Thorne to discuss the matter. Dinah Rogers asked if KA could also look at the application for 19 Torbay Road (Demolish existing dwelling and erect 3 no. 4-bedroom detached houses with associated parking).which was registered on 05/11/09. 1. SE Dorset Multiple Modal Transport Study by Rick Clayton, Transportation Services – RC provided us with a high level analysis of responses to Survey questionnaire. 2. Site Specific Allocations by Bill Gordon, Strategic Planning – There has been 51 responses which areavailable on BoP website. Officers are now looking at the remaining 200 ’saved’ Development Control policies and hope to reduce these to 40/50. This will be subject to further informal consultation. 3. Sustainable Community Strategy Review by Hilary Evans, Community Planning Manager.- The present Strategy covers 2006 to 2012 and needs to be longer term. Project Team are reviewing this. 4. IDeA – Peer Review by Nigel Jacobs, Planning Policy&Imp. Manager – A meeting with Service Unit Heads was held last week to discuss a more co-ordinated approach to planning. Quarterly Newsletter is being progressed. In addition to challenging the refusal for the three properties, the appellants challenged the requirement for a contribution for around £12,000 under the South East Dorset Transport Contributions Scheme Adopted 2009. An article in yesterday’s Daily Echo reported that the Planning Inspector questioned the Recreational and Transportation contributions re 147 Banks Road. St Ann’s Hospital (Erect two 2-storey buildings on site to accommodate a 12 bed Psychiatric Care Unit and 48 long stay bed spaces. New combined entrance & extensions to existing 1980’s acute ward block. Demolition of 1970 block. Associated car parking, hardstanding & landscaping)– Letter of objection lodged by Assn on 04/10/09. 10 Nairn Road (Demolish the existing house and erect 2 x 4 bedroom maisonettes with associated parking) – Letter of objection lodged by Assn on 10/10/09. (a) Conservation area application to erect a 5-bed detached house with integral garage, access from Mornish Road (Revised scheme) – Appeal allowed on 24/07/09. (b) Erect a 5-bed detached house with attached garage, access from Mornish Road. (Revised Scheme) – Tree Impact Assessment lodged on 29/07/09. 19 Sandbourne Road (Demolish existing and erect 5 apartments over 3 storeys with basement parking and associated cycle and bin store) – Amended plans registered on 24/08/09. – Application refused on 27/05/09) – Application subject to Public Inquiry (APP/Q1255/A/09/2107902) which commenced yesterday (10/11/09) and concluded today. 4-6 Compton Avenue (Demolish existing and erect 2 blocks of flats (10 in total) with basement parking,bin and cycle stores. (Revised Scheme Block A). Revised plans received 05.02.2008) – Application was registered as long ago as 18/12/07. The revised scheme application has not yet been approved, This is being held up because the section 106 agreement cannot be agreed and because of changes in ownership. The main building remains substantially the same as previously approved, but there are some additional out buildings, changes to the basement and additional ventilation shafts from the original approval, these may be subject to future enforcement action if the Local Planning Authority (LPA) cannot secure appropriate planting/landscaping, Planning officers are currently considering these changes. This property was purchased only three months ago and the LPA are in the process addressing the outstanding matters with the new owners. 8 Shore Road – BPCCRA will continue to monitor possible tree work application. An entrance has been created on the Haven Road side of this property. 4. ACCOUNTS TO DATE – In the absence of JD, JS reported that the total funds as at 30th October amounted to just over £34,000. The meeting was chaired by former Cllr David Clutterbuck and was attended by four local Councillors Anne and Michael Filer, David Kelsey and David Smith (who is on the Bournemouth Town Planning Board) and about 50 residents. The possibility of having one or more of the Assn’s meetings on a Saturday morning or afternoon was ‘floated’ but this was left for further discussion at a later date. CS reported that matters discussed at the meeting included..
· Improvements to Bournemouth Seafront, Surf Reef at Boscombe, Boscombe Pier & “Lump of Granite” art work by Boscombe Pier – People cycling in a dangerous manner along the seafront and the cliff top There is 7 miles of sea front, obviously a massive task. A good start has been made at Boscombe with the construction of the Surf Reef and it was generally felt that the whole area by Boscombe Pier has improved, good cafes, new shops etc. Some doubt was expressed about the cost of the Reef (£3mil) and whether it was any good and there was a general thumbs down in respect of the art work generally known as “the lump of granite” (Shades of the art work at Penn Hill????) on the roundabout by the pier. Some further improvements to the Pier were suggested (no facilities) and complaints made about wet suits obstructing the area. More beach huts are required, possibly 1000.Other comments concerned improvements to Bournemouth Pier, Happylands looks awful, Westover Rowing Club lease (£37 pa!!!!) runs out this year and Toft steps by the lift needs attention. · People cycling in a dangerous manner along the seafront and the cliff top – Same problem as Sandbanks Sea front. · Parking meters – Parking meters have been delayed by technical and procedural problems. Apparently they fill up with water when there is rain. Amusing point raised in that people pull off the “Not in Use” Yellow stickers on the meters and put money in and then get very upset when there is no sign of a ticket! DOH! However, ”meters are go” for the end of this month. · Road and verge cleaning and maintenance & Litter problems – Many Residents complained about the lack of street cleaning esp. leaves and maintenance of the verges. Litter everywhere and many verges destroyed by parking cars. · Cliff End Hotel adjoining Keviston Court & Normandy Hotel – Usual problems with these two Hotels in that Developers are supposed to be carrying out works/demolition there are failing to do so (probably no money because of the recession) and the sites have become dumping grounds for all kinds of rubbish. What’s David LLoyd up to? No one knows. · Proposed Drug Management Centre in Lansdowne Road (Crime Reduction Initiative programme) – Many objections raised by Residents and Businesses in respect of the proposed Centralised Drug Facility at the Lansdowne. One main objection is that addicts will be sent there from all over the country, especially from London. Where will they stay? Will their friends come with them? Who is going to pay for their accommodation? Matter to be debated in the Town Hall on the 8th Dec at 10 a.m. Council is against the proposal, Police are for it. · Work to turn Holdenhurst Road into a Boulevard – Work is proposed to turn Holdenhurst Road into a Boulevard with centre of the road Pedestrian Islands and Trees. (Sounds like Canford Cliffs proposal??). · Budgets – All the above will be subject to budgetary constraints. Suggestions made by Councillors that Residents could take better ownership of problems such as litter clearance and could take responsibility for clearing minor items of rubbish on verges/pavements outside their properties/businesses. Pointed out that Residents could be prosecuted under Health and Safety laws if sweeping of leaves off pavements by residents caused a slippery surface and passers-by fell over. Canford Cliffs Library Notice Board – TS had met with the Library Manager and it was agreed that the noticeboard would be placed on the wall at the bottom of the library. It would be large enough to display 16 A4 sheets and the library staff will be responsible for putting up the posters. It was cheaper to attach the noticeboard to the wall than to mount it on posts. Car parking in Whitecliff Road – A proposal to put double yellow lines along the north side of Whitecliff Road had been turned down, but a small length of double yellow lines on the corner of Sherwood Avenue was accepted. Night economy in Lower Parkstone – There is a need for a taxi rank in Lower Parkstone due to the night economy of Poole being centred in Ashley Cross. Apparently patrons of the Parkstone venues subsequently travel by taxi to Bournemouth in the early hours of the morning. A suitable site for a taxi rank is being discussed. S106 Transport & Recreational Contributions – In answer to a question from William Mutlow about how much is received and spent in each area, TS commented that this had been asked previously and that there was a document available giving this information. There are different types of contributions ,e.g. Recreation and Leisure, Transport. The Recreational Contributions have to be spent in the ward or an adjoining one, e.g. a play park may extend into an adjoining ward, although some Recreational contributions could be spent in Poole Park or Upton Park. Developers query why they should pay Transport contributions which cover other areas in Dorset, but the Council have to stand firm on this ruling. It was suggested that any queries about Transport contributions should be addressed to Steve Dean in the first instance. Town Green Applications – Branksome Recreation Ground is being processed, although there is a possibility of a Public Inquiry. Baiter and Harbourside Park will not be looked at until Branksome has been decided, but there will be no upgrades or improvements in the meantime. There being no other AOB, JS closed closed at 8.45pm. Date of next meeting: The next meeting is Wednesday 9th December 2009 in the Main Hall at Branksome St Aldhelm’s Parish Centre (Entrance via Lindsay Road) NB To be concluded by Mulled Wine and Mince Pies.